Occupy Maine signs along Lincoln Park (click image for larger version). It's not often that there are things like this going on in Portland, so it's been good material for photographing. 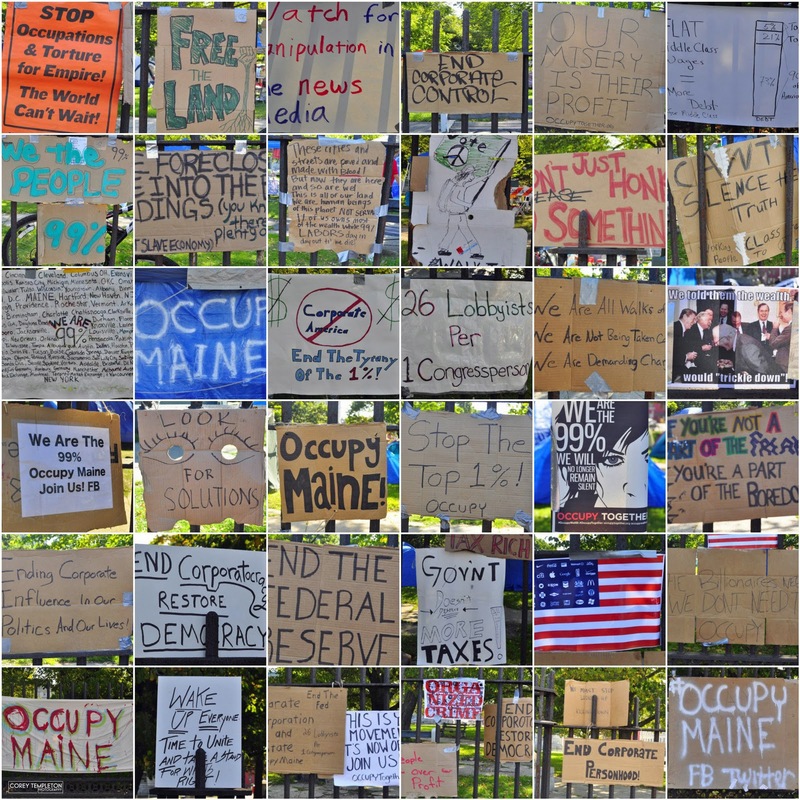 I'll probably have more Occupy Maine related photos in the near future. Easy to spot, and I guess clear messages to people who live there. Creative way to show the messages. The best part is that every day homeless folks try to find a place to sleep there. Now they get to compete with all these folks having their latest "protest of the month/Bonaroo"
really cool roundup of signs!